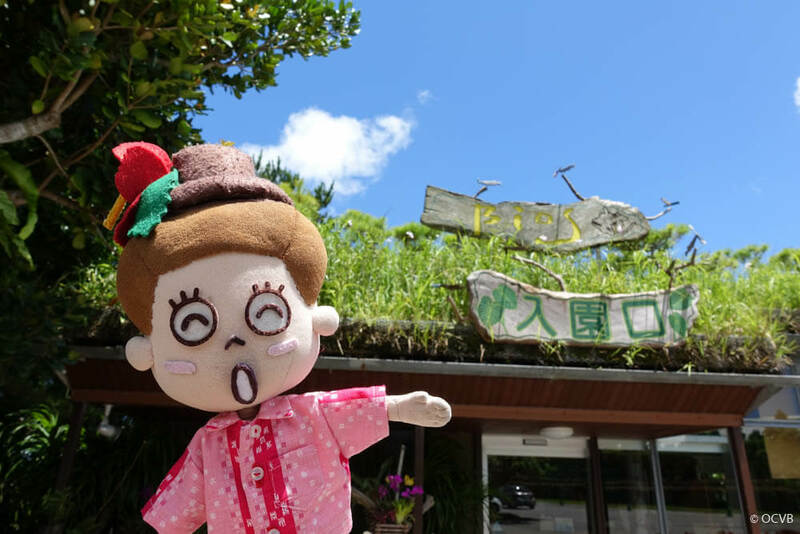 This time I visited Bios no Oka in Uruma, a town just one hour from Naha Airport via the expressway in the central area of Okinawa. 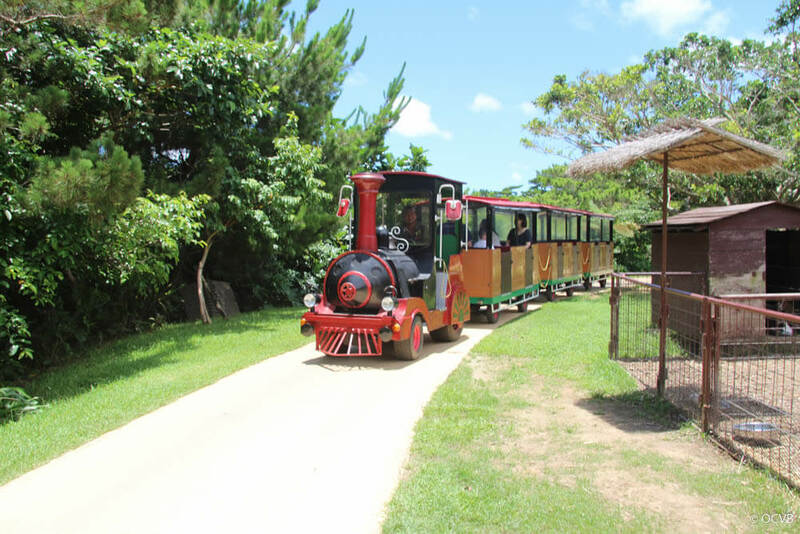 Here, guests can experience the nature found in Okinawa through contact with animals, orchids, and other subtropical plants. 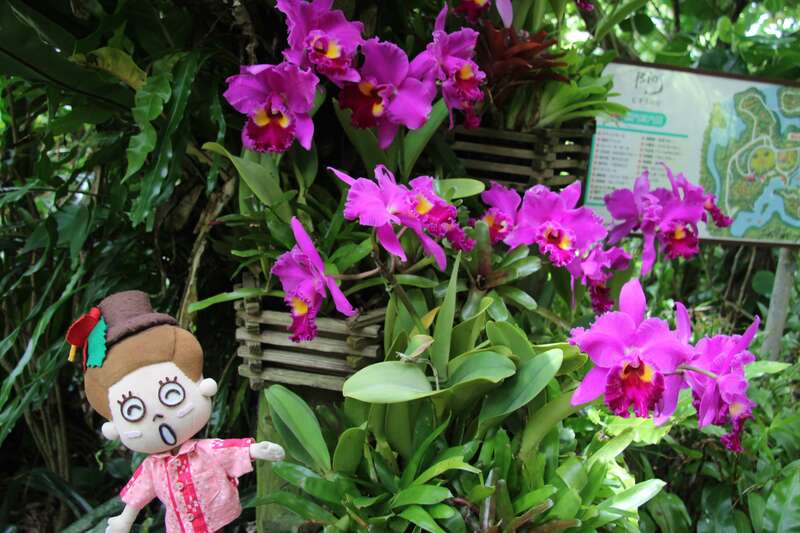 I was immediately welcomed by beautiful orchids in full bloom. 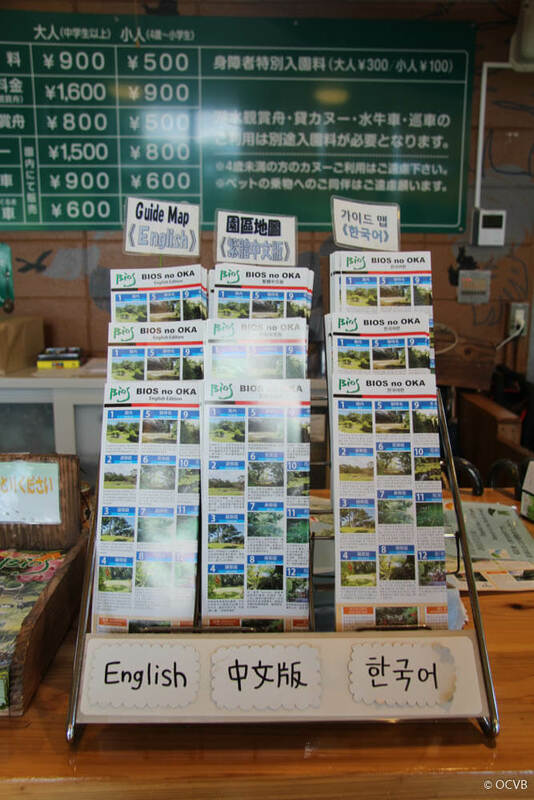 At the entrance to the park, there are pamphlets which contain a map and are available in English, Traditional Chinese, and Korean. 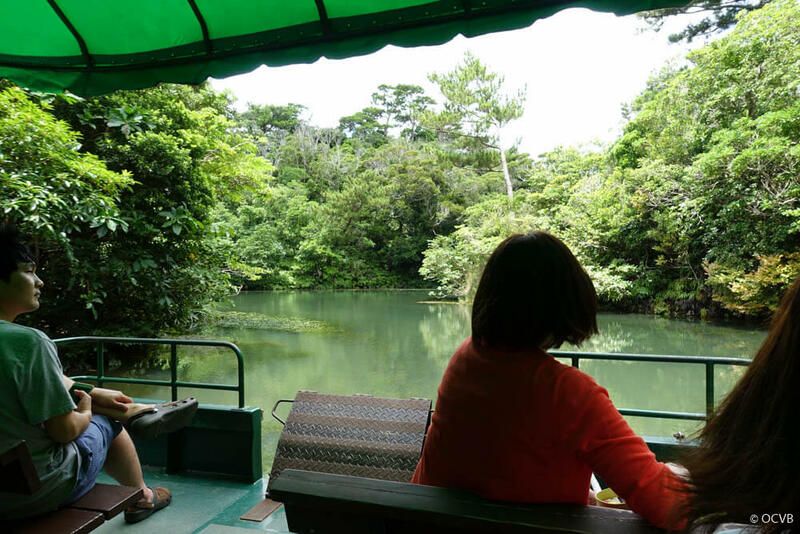 The first spot I headed to was the popular sightseeing boat on the lake. 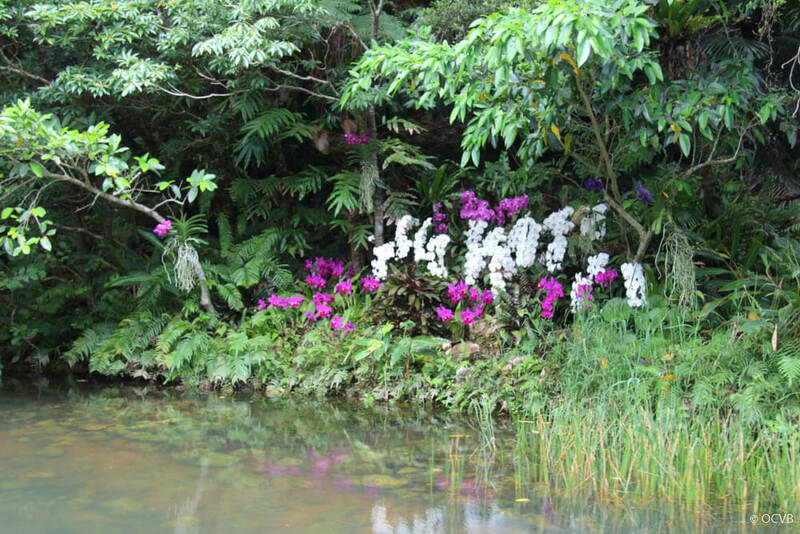 During this 25-minute cruise, passengers can appreciate the orchids and subtropical plants, as well as the small animals that live on the lake. As it takes place on a lake, there are hardly any waves, making it a very calm ride. 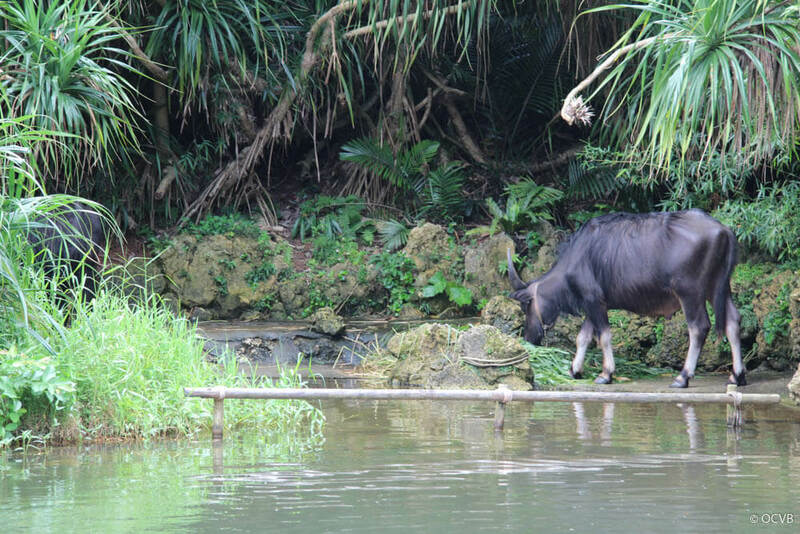 I saw water buffalo during the cruise and it was a very relaxing ride. I also watched a Ryukyu dance from the boat. 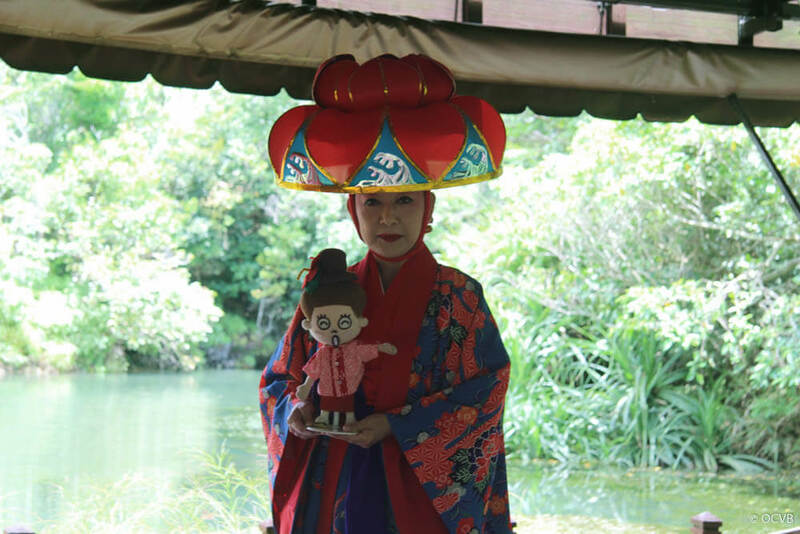 The dancer was very elegant and wore a “hanagasa,” a type of hat decorated with flowers, and “bingata,” a kimono that has been dyed using traditional methods. After getting off the boat, I took a special memorial photo with the dancer. Up close, the colors in her kimono were very vivid and beautiful. 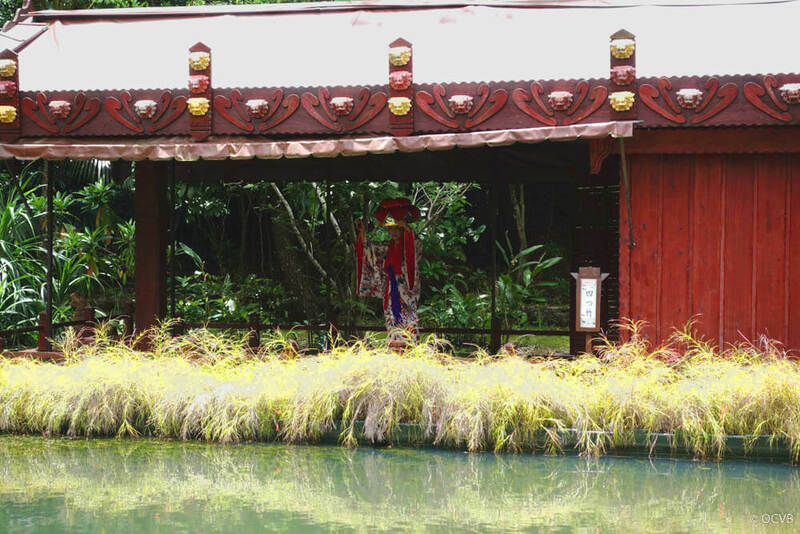 The dancers change into a new outfit after every performance, and there is also a chance for visitors to try on a bingata kimono for themselves. 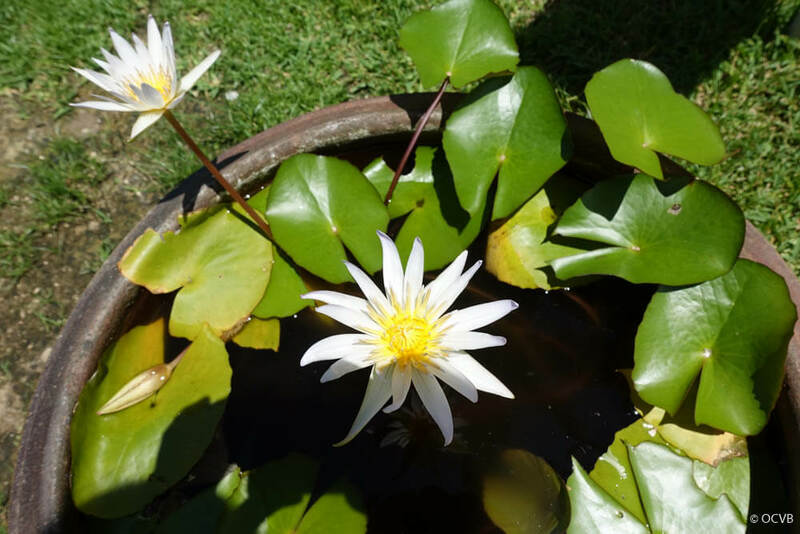 If you are interested in creating such a memory, then please visit the attraction! 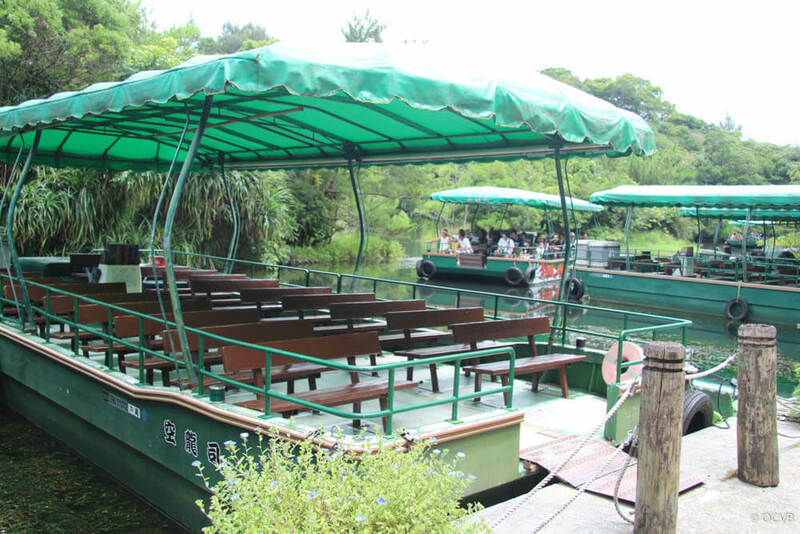 As well as the lake’s sightseeing boat, there are also canoes to rent and paddle board experiences. Next I took a stroll around the park. 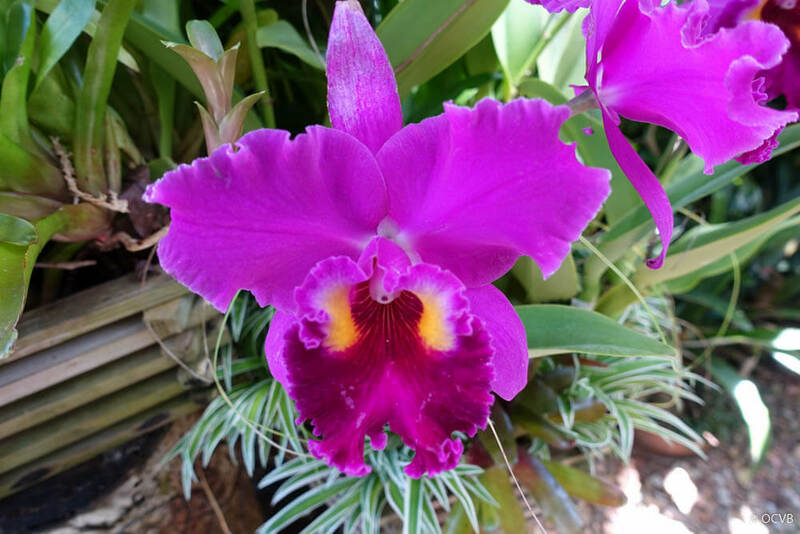 Throughout the grounds there are many colorful plants from the subtropics as well as different species of orchids, such as the Okinawan orchid and the Cattleya orchid from the west. 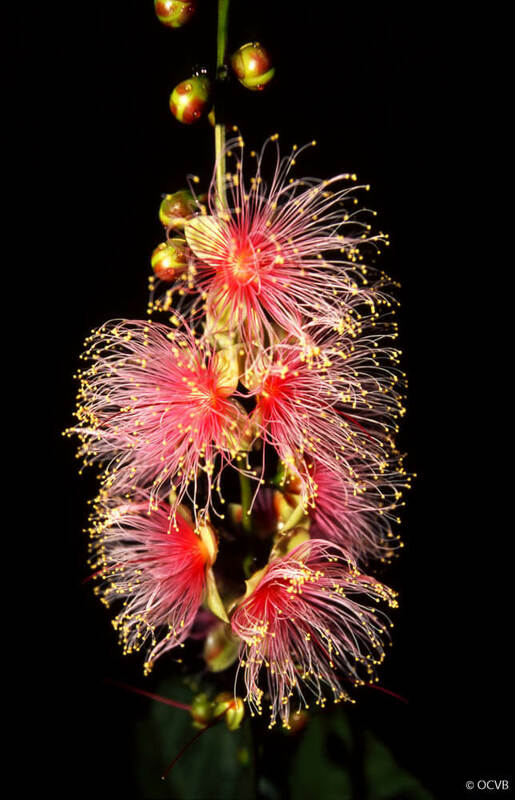 These plants offer visitors a feast for the eyes! 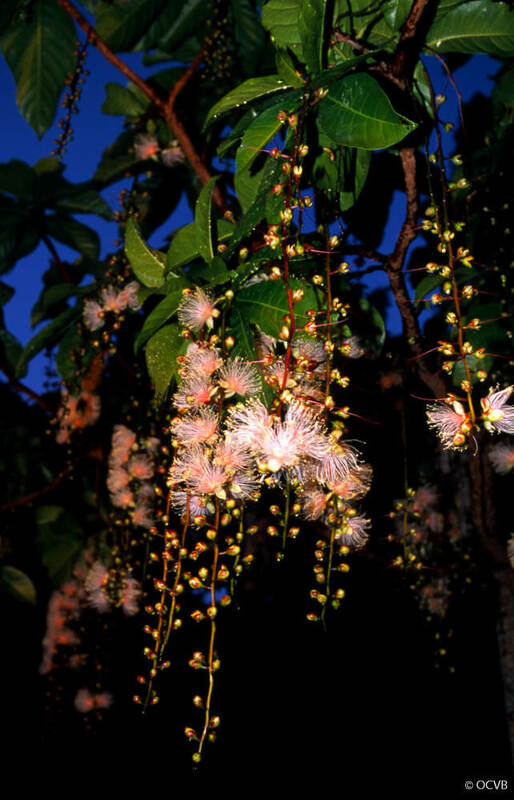 The petals are scattered by dawn, but the sight of these fluffy petals floating on the water is just as wonderful. Next I headed to the petting zone. 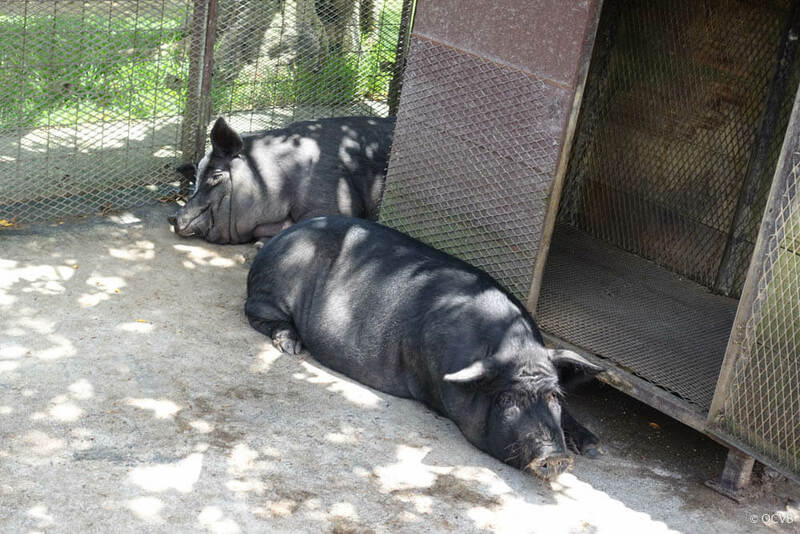 Here you can stroke animals that are common in Okinawa, such as black pigs and goats. 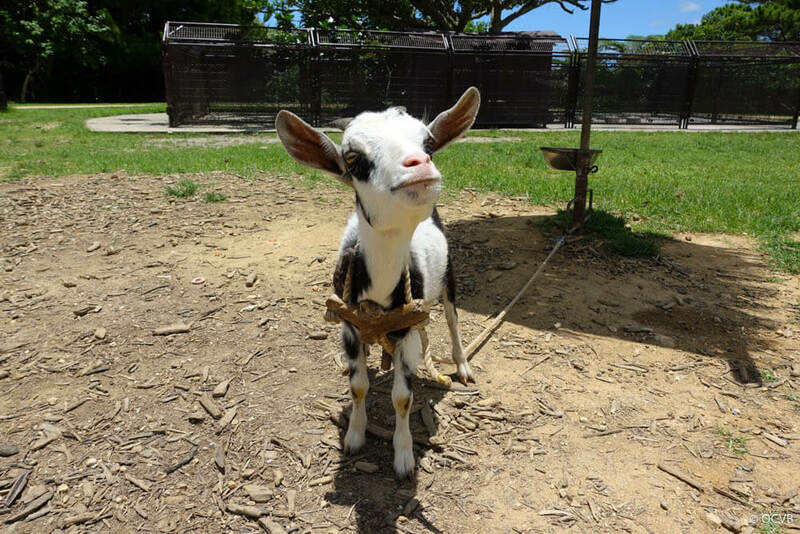 I gave a goat some food and tried to take him for a walk. Even though he was small, he was surprisingly strong! 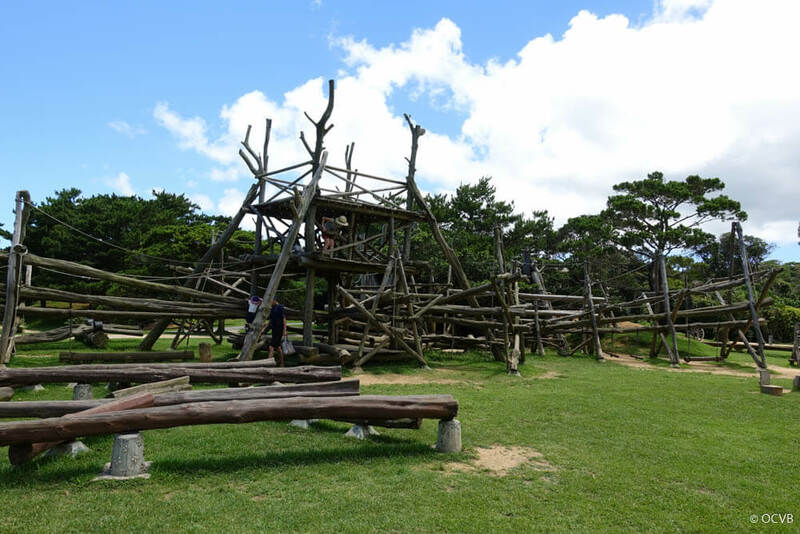 Next to the petting zone is an jungle gym, which has been constructed by the park’s employees using trees collected from the area that have fallen during typhoons. Here children can play freely while feeling the warmth from the trees, and families can enjoy picnics in the large field that surrounds the play area. 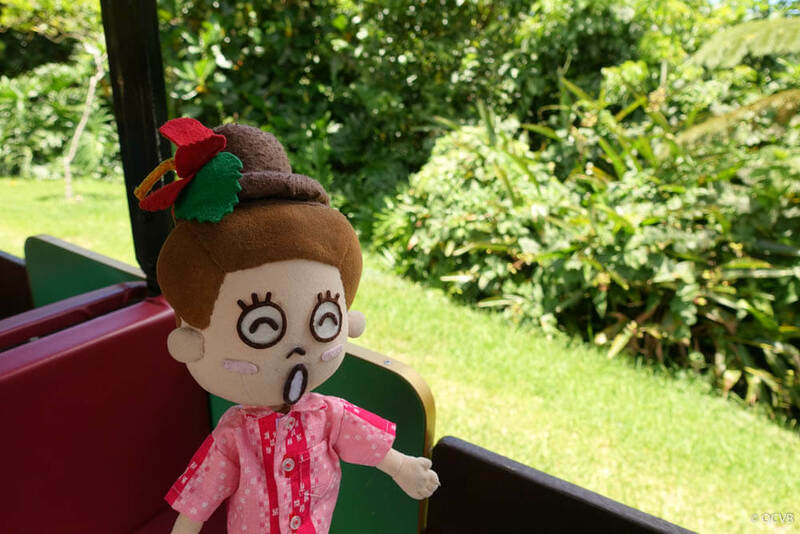 Finally, I took a ride on a train that departs from the petting zone and takes visitors around an area that is not open to the general public, passing through a hilly farm area where tropical fruit is grown. 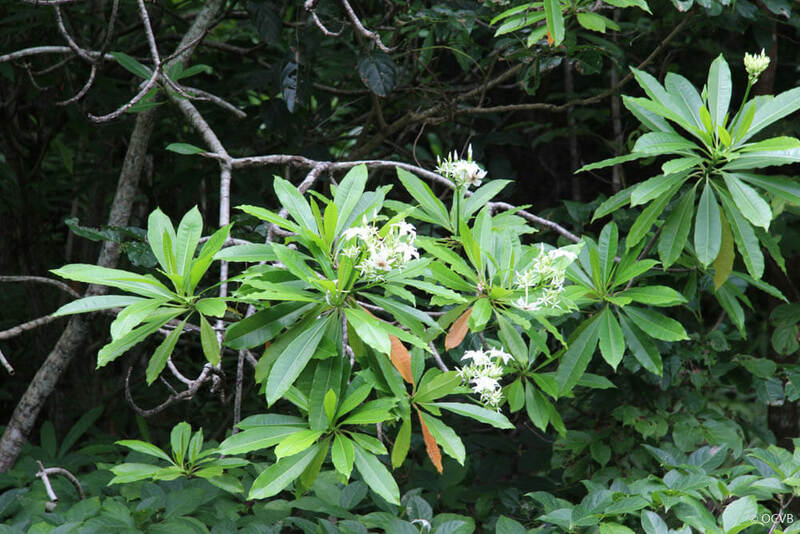 In the farm area, not only are there subtropical plants but there are also tropical fruits like mango and passion fruit, which grow inside greenhouses. 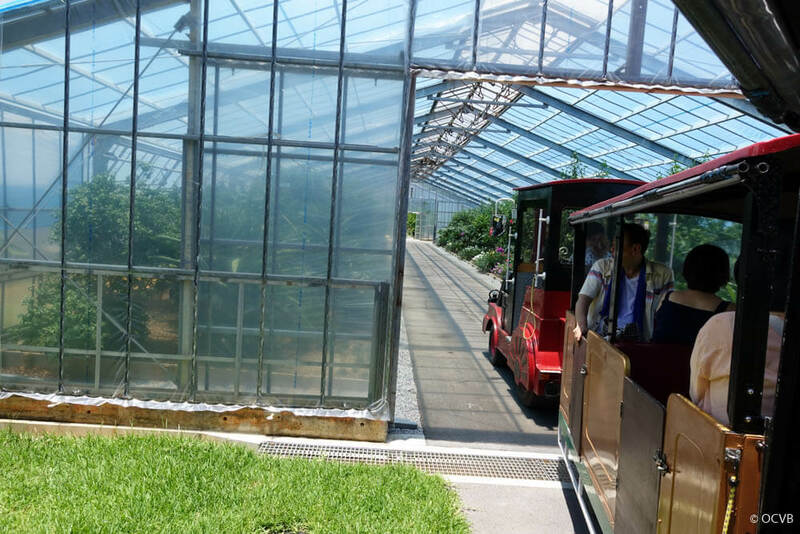 The train passes through one of these greenhouses, so I was able to see inside. At the moment, they are planning to open up the strawberry and tomato areas to the public, and next year there will hopefully be an area where visitors will be able to go strawberry picking. I’m really excited! So, how was my trip? 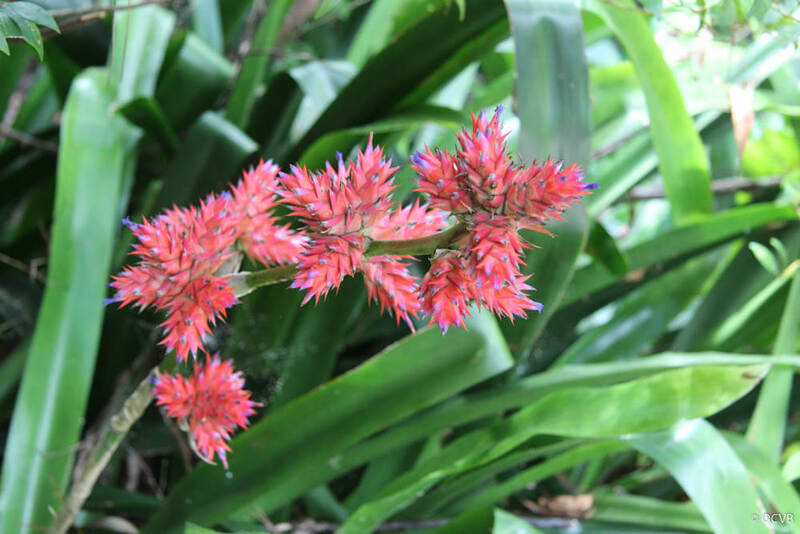 Well, I was able to learn a lot about subtropical plants and animals, and I think this is a facility where both adults and families can enjoy themselves. Don’t miss out, please try and visit Bios no Oka!